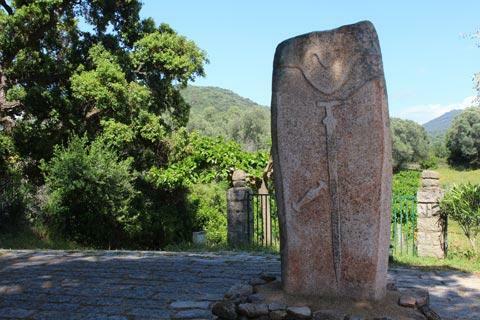 Filitosa is a remarkable prehistoric site between Ajaccio and Propriano in south-west Corsica, where you have a rare opportunity to see prehistoric stone engravings in a natural setting. 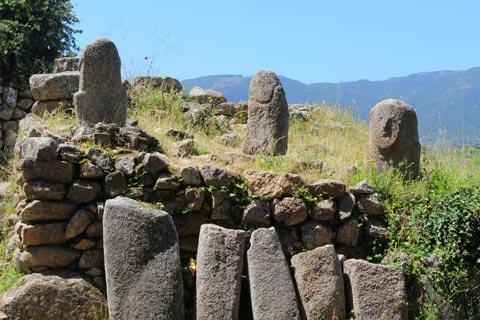 The site was occupied from the 6th century BC until Roman times and includes megalithic sculptures and engravings as well other prehistoric monuments. It was rediscovered in 1946, then subject to 20 years of excavations before being opened to the public. 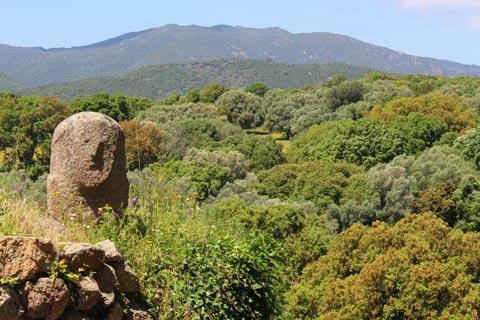 Because of its slightly remote location you might decide not to bother with a visit to Filitosa as you tour Corsica. This would be a mistake - it is a very interesting site, quite unlike anything else, and the location is also very scenic. 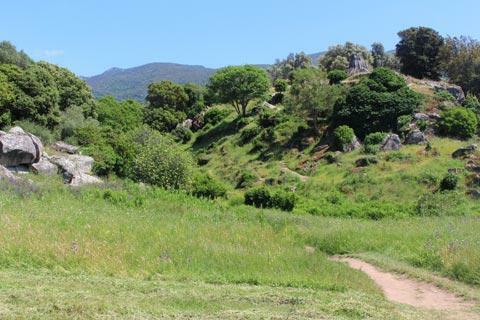 When you enter the site you can first take a stroll around the information centre which contains various items discovered around Filitosa and also explanations of the history of the site. As you tour the site you can also hear explanations of the various groups of engravings (in French, English, German or Italian). You should be aware that the degree to which you can see the individual engravings varies a lot with the time of day and position of the sun as it highlights the raised areas of stone with shadows. The site itself, very beautiful with flowers and plants early in the season, can also become a lot more dry and arid later in the summer. At the start of a visit you see an imposing carving on a massive stone with a face and sword clearly visible. 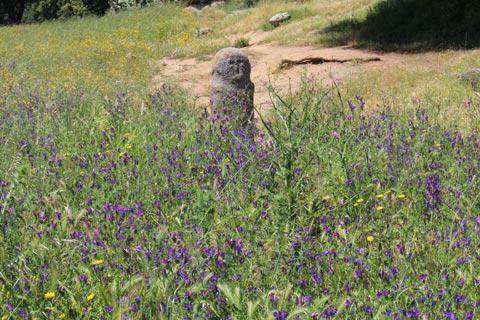 This stone is called Filitosa V. Following the path you next reach the remains of an ancient settlement with walls and several more engravings clearly visible, called the oppidum. 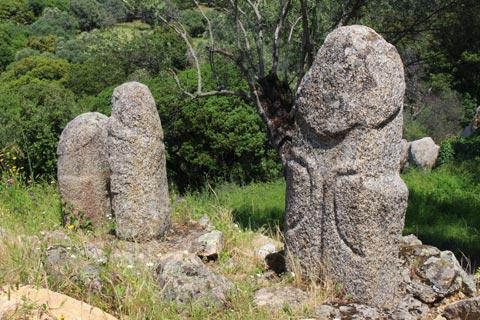 The next stop is an evocative line of five tall statues in the shade of a large olive tree. Finally you continue to a large rock shaped like a dinosaur and a viewpoint across the site as a whole. 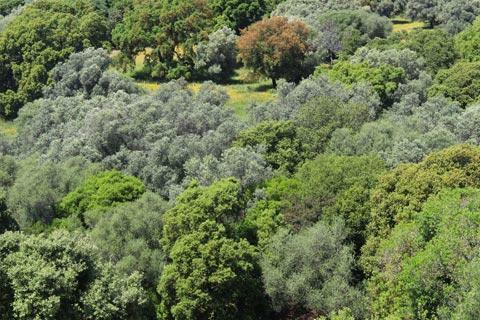 Filitosa is open from April to October, from 9.00 until sunset each day. Entrance costs around 7 euros. You might need to enter Sollacaro (the commune name) in your GPS if it does not recognise Filitosa. Note: the site is quite extensive and a visit will take at least an hour. Bring water if it is a sunny day! 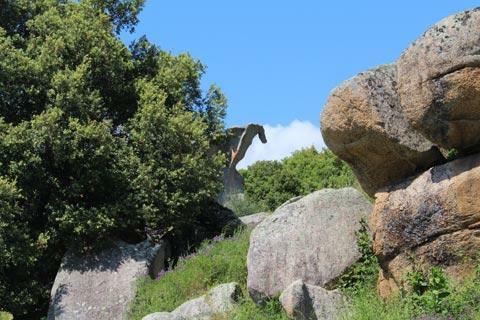 There are various other prehistoric sites in this part of Corsica, such as the Site Protohistorique de Calzola-Castelluciu, the Menhir u Cantnu and the Paladinu Menhir. You are likely to want to visit Ajaccio while you are in this part of Corsica, and take a stroll around the harbour in Propriano.